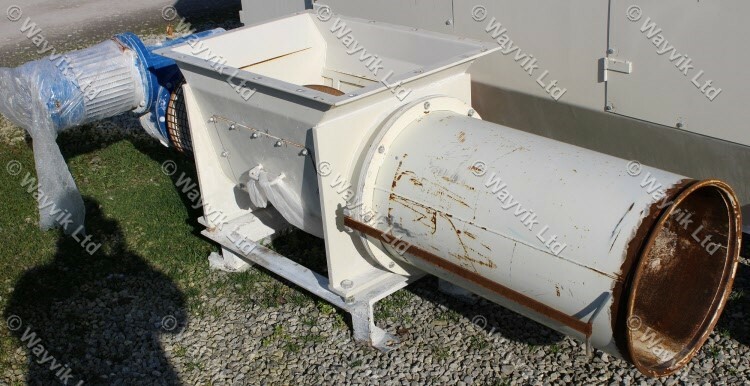 650mm wide x 375mm high inlet aperture for bag feed. Twin rotary knives with 2.2kW 415/3/50 motors. Rotary trommel to empty bags externally driven by a 1.1kW 415/3/50 motor. 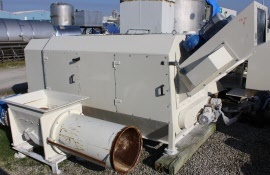 Top mounted TORRIT DCE DALAMATIC model DLM V12/10F reverse jet dust collector with 0.75 kW fan. Complete with adjustable belt conveyors for sack feed, shredded sack compactor, product discharge cone and control panel.